The moment that all the Street Hunters that attended the 1st Annual Street Hunters meeting in London have been waiting for has arrived! 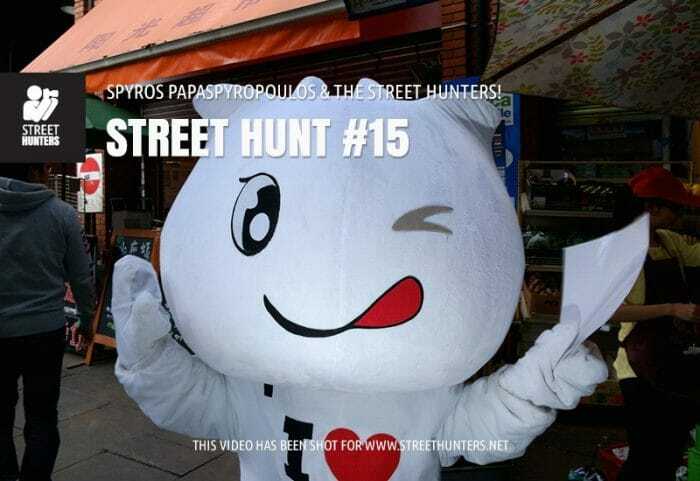 Street Hunt Video No15, filmed during the 1st Annual Street Hunters Meeting is now ready! Sharing this amazing day with Anton Fortein, Derren Hodson, Bill Wellham, Dan Berntsson, Gagan Sadana, Paul Griffiths, Martin U Waltz, John Hughes, Brian Boyce, Adrian Looby, David Smith, Marcello Perino, Barrie Duffield, Dave Nash, Benjamin Nwaneampeh, Adam from Poland, Jordi Mallol i Comas, Laurence Taylor, Brian Duffy, Treve Kneebone, Andy Wasley, Amanda Culley, Brian Duffy, Duncan Paterson, Mike Beecham, Luigi Caruso, Klaus Scherer and Richard Parmiter was an honour and a one of a kind experience. I want to thank you all for attending. Streethunters.net wants to thank you all for attending! In this Street Hunt video I use my APS-C Fujifilm X-Pro1 with various settings depending on the light. The day was bright, but we also visited Borough Market which was darker, and we continued shooting all the way to 20:00, so I had to switch settings quite a lot during the course of the Street Hunt. I began the Street Hunt zone focusing using a narrow aperture. At first I used natural light and then I decided to fill with some flash. Exciting times! The lens I used was the XF18mm by Fujifilm that is equivalent to 27mm full frame. So it is quite wide, just what I need for getting close! What an exciting day that was and how very happy I am I get to relive it over and over again through this video. Check out the 1st Annual Street Hunters meeting in London post if you want to read more about what we did during that day, otherwise grab your favourite beverage and something to eat and relax and enjoy the fun! In addition to the video I have made a collection of all the photos I shot, and I am also sharing with you photos from some of the Street Hunters that attended the 1st Annual Street Hunters meeting in London. Thank you so much guys for letting us share your work! If you want to check out each photo I have uploaded every image I shot in a dedicated Dropbox Album called Street Hunt #15.